Members of the Oxford networking group Opendoorz undertook the challenge to walk over red hot coals for charity. Debbie Austin explains why. Oxford networking group, Opendoorz, decided to challenge their members to the Oxford firewalk. The charity SeeSaw (charity number 1076321) had approached them about this event and the thought of a challenge that would push one out of the comfort zone for a really good cause proved appealing to Debbie Austin (Partner at Wellers). In time this enthusiasm was replaced by nerves and a sense of dread as to the task in hand. 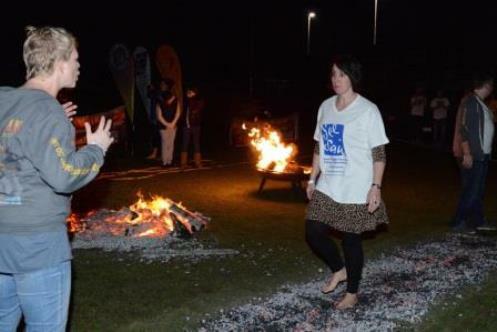 Debbie began to realise that Firewalking is not for the faint hearted. However, once you commit to these things, there can be no backing out! Debbie explains in this post what it all entailed. SeeSaw help children and their families both before and after a major bereavement, assisting them in moving forward to face the future. Support is usually for kids where a parent or sibling has died or is dying. SeeSaw also provide a programme of education and training about childhood bereavement for professionals working with children, especially teachers. As part of this they have a range of literature that helps children, their parents, carers and teachers to understand grief. The charity has helped over 3,400 children since its inception in 2000. 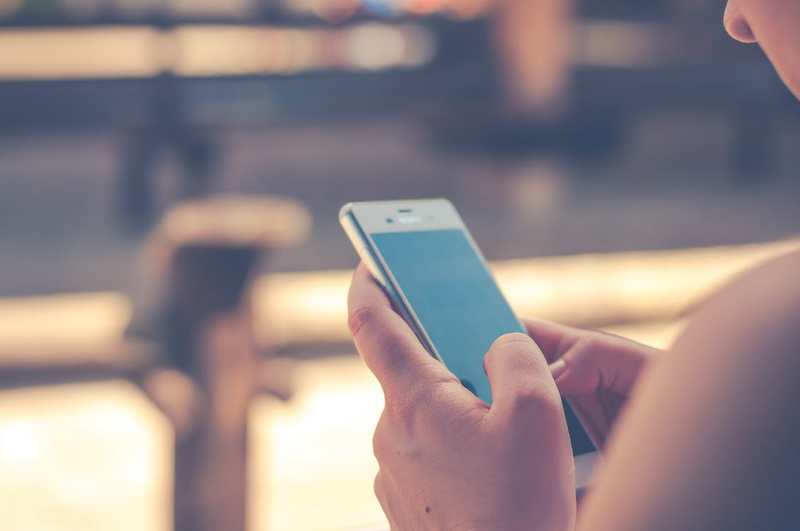 While the idea of firewalking filled me with dread, the more I read about SeeSaw and the work they did, the more motivated I became to overcome my fear. I simply had to complete this challenge. • How much would this hurt? • Would I struggle to walk after doing it? • How many people had done this and then had to go to hospital? The event took place at Oxford City Football Club in the evening. All participants were required to take part in the 90 minute firewalk training seminar presented by Bigger Brighter Bolder. This session was designed to motivate participants and give them the necessary confidence to complete the challenge. Part of the session was to educate and train us to understand that people who do this don’t get burnt in the traditional meaning of the word, instead they simply have "an experience” if that happens. The overall aim was to motivate us and get us “in the zone” which it did. We were then taken outside and the red hot coals were laid out before us. I also happened to notice a team of medics on standby! The coals start out as pieces of wood. The wood consists of lots of carbon, some organic molecules, and water. The volatile organic molecule is carbon-based and evaporates when you heat it. So this means the heat of the fire evaporates all the volatile organic molecules, as well as all the water. Because they burn for a while before the stunt, the coals are basically burned down to nearly pure carbon. Ash is also a very good insulator. So the red-hot coals are covered with ash to transfer the heat more slowly. This is because the ash acts as a layer of insulation. The good news is the heat transfer from a red-hot coal is slow. That said if you stood still on the coals for several seconds, you would certainly end up with burns. That is why people walk over them quickly. By doing this you limit your contact with the coals to a short time span. The theory is your foot never gets hot enough to actually burn. But then theory and reality are two very different things? Support at the football ground was great. There was a lot of cheering, bongos and music. I was also really encouraged to see some of my friends and colleagues there. From 7.30pm the first participant walked across the burning hot coals. I was in the last batch. Going later in the queue can simply add to the tension but the more I saw other people do it and the elation they felt at the other side, the more confident I felt. And the experience of walking over the coals? Mind over matter was definitely a big part of this. So I visualised myself doing it and getting across those coals. There was no doubt that the training from Bigger Brighter Bolder really helped with this. I took my first step and actually it didn’t hurt. I was in the zone and simply felt a tingle. I recalled the training, to stare forwards and walk. Before I knew it I had done my five strides and made it to the other side. I looked back at the burning hot path and thought “wow, I just did that”. Any war wounds or, “an experience” as you were trained to call it? Actually yes, I hadn’t realised it at the time but a piece of coal stuck to my foot and had to be brushed off afterwards. There wasn’t any pain but for the next few days it was a little uncomfortable and left a bit of a mark for a few weeks. But it was worth it, a great event for a wonderful cause. I now feel emboldened.